How to Make a Motion and Darkness Sensing Night Lamp #Arduino « Adafruit Industries – Makers, hackers, artists, designers and engineers! This is a battery powered DIY project. The device automatically switches itself on when motion is detected. It can be used in bedrooms, washrooms, closets or dark court etc. to have light if it is needed, no AC power is needed. The colour of the RGB LED can be set up with a help of the left potentiometer. There is a second potentiometer, which can modify the sensitivity for external light (sun, other lamps), with that it will turn the LED-s on only if it is really dark. The Arduino is in sleep mode, only the motion detector is powered on. In case of motion, the Arduino is powering on checking the photo resistor, if the measured AD value of the photo resistor is brighter than the level of the right potentiometer it turns on the LED as long as the motion sensor is active. Before the LED is turned on the Arduino checks the level of the left potentiometer, and change the colour according to this level. It starts with one colour (red, blue, green), than two colours (red-blue, blue-green, red-green) and three colours (red-blue-green). The sensitivity of the motion sensor and the activation time is changeable also on the motion module with dedicated potentiometer. 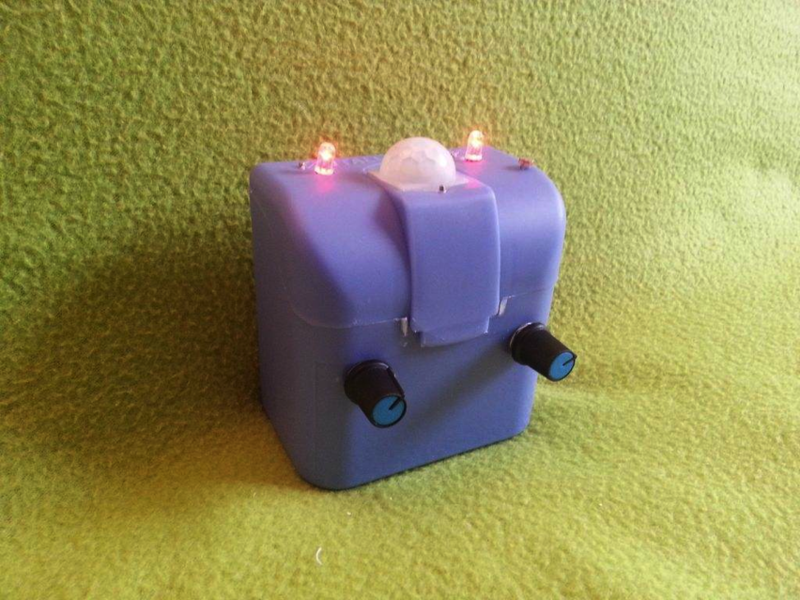 It need 3 pcs of AAA batteries, because of the light sensor and power down mode it can operate for long time of period.